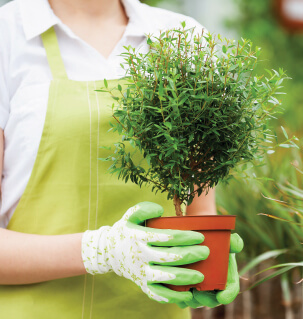 Hire Our Reliable and Experienced Gardening Professionals for all of Your Landscaping Needs! If you are in need of a professional and hardworking landscape gardener in order to tend to all of your garden landscaping needs then please do not hesitate to give Gardening Services Gardeners a call now on 020 3540 7140 in order to find out more about all of the ways in which you can benefit from our garden services. 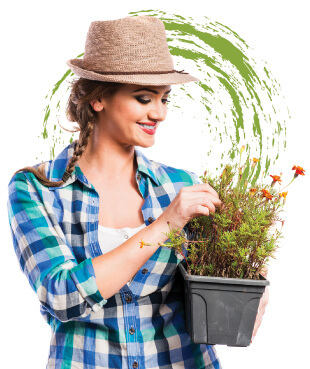 Our gardening experts can offer you a variety of useful and professional services, such as landscape gardening ideas, landscaping designs, as well as soft landscaping and hard landscaping too. It doesn’t matter whether it is services and landscaping for your residential or commercial property that you are looking for, as our gardening team can provide you with all what you need and more. Having a clean, presentable and tidy garden is one of the main and simplest ways to make your outdoor area look presentable however, if you are looking for something more in order to make your outdoor area appear very attractive, pretty and picturesque then employing a team of professional, reliable and experienced gardeners such as our team of staff is the best way to get just what you want. If you do not want to get down to the task of completing your garden transformation yourself or perhaps you simply do not have the time or energy to do so yourself then it is perfectly understandable and this is where our company can help you! When it comes to landscaping companies our team can offer you just what you want and at a price that suits your budget too. We offer affordable, reliable, professional and convenient landscape edging, residential landscaping and other similar services in order to improve the look of your garden so that it looks just the way that you have always wanted and dreamed that it would look. Transforming your garden yourself is no easy task however, by making good use of the services and professional assistance on offer from our landscape design company you can make good use of our design ideas, professional team, experience and resources all of which work hand in hand to provide you with nothing less than a perfect looking garden. There is nothing better than having an attractive, beautiful and relaxing outdoor area such as a garden to relax in and sit out in during the warm months of the year and what’s even better is if that outdoor area happens to be your own outdoor area or garden that serves as the favoured place to spend those warm summer and spring afternoons and evenings, which is why you should go ahead and get your garden looking beautiful now! Our landscaping company can and will plant shrubs and beautiful flowers, create flower beds, reshape your garden and carry out all kinds of jobs that will get your garden looking like a little piece of outdoor heaven in not too long a period of time. Gardening Services Gardeners is the company to turn to when it comes to all of your landscaped gardens needs and desires which is why getting in contact with us now on 020 3540 7140 and sharing your thoughts and ideas on how you would like your garden to look or asking our team to share their own ideas and designs is the sure way to get the perfect garden you have always dreamed of!